When the global economic crisis struck, Venezuelan President Hugo Chávez gloated. 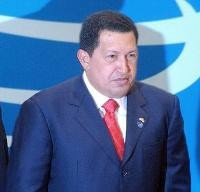 The woes of capitalism, he believed, would give a boost to his brand, helping spread Chavismo throughout Latin America. Chávez, the designer of that unique ad hoc blend of personality-driven socialism and nervously semi-free markets, prophesied the imminent collapse of capitalism. He confidently promised his followers that, under his leadership, Venezuela would remain "armor plated" against recession.